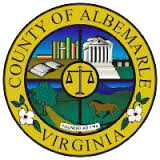 Albemarle County Supervisors are hosting town hall meetings to discuss the Route 29 Solutions Package. The intent of these meetings is to provide the public with an understanding of the projects, the impact they will have on the larger transportation network, and an opportunity to ask questions. Details on the concept recommendation package can be found on the Virginia Department of Transportation’s website. Supervisor Brad Sheffield will host the first meeting which is scheduled for Monday, September 29, 2014 from 6 – 8pm at the Hollymead Fire Station. Supervisors Sheffield and McKeel will host a joint meeting on Thursday, October 2 from 6 – 8pm at CATEC. Both meetings will begin in an open house format where attendees can view exhibits and talk informally with the Supervisors, followed by a brief presentation, and culminating in a question and answer session. Community members will have the opportunity to ask questions and discuss areas of concern and interest related to this topic. All citizens are invited and strongly encouraged to attend these meetings.